Age-Related Macular Degeneration (AMD) is the leading cause of age-related vision loss and affects more than 10 million Americans. It is necessary to have regular, comprehensive dilated eye exams after you reach the age of 50 in order to track the health of your retina, the thin, light-sensitive region at the back of your eye, as well as the all-important macula, a small portion of the retina. Age-related Macular Degeneration (AMD) is characterized by the loss of central vision, usually in both eyes, and is the leading cause of vision loss in people ages 65 and older. The macula is a tiny part of the retina, but it is responsible for your central vision. While the entire retina translates light into electric messages that the brain will interpret as sight, the hypersensitivity of the macula grants the pinpoint accuracy that allows us to accomplish our most delicate of ocular tasks. Age-Related Macular Degeneration is a natural process of aging in which the macula’s sensitivity is compromised. But the severity of the effects of that deterioration vary widely, and it is highly important to visit us regularly in order to develop a personal history to be used to combat the possibility of future AMD or other age-related eye conditions. 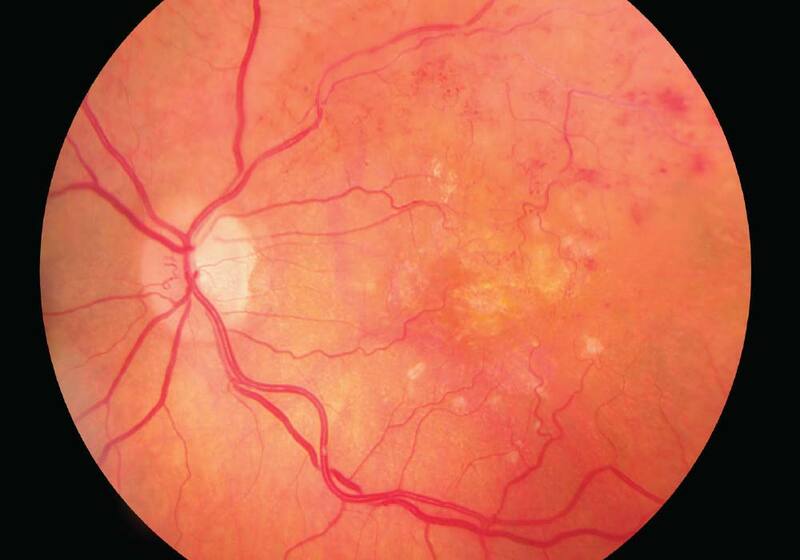 Age-related Macular Degeneration comes in two different forms: wet and dry. The most common signs of dry AMD is blurred vision. As fewer cells in the macula become unable to properly function, individuals may see a small, but growing, blind spot in the middle of their field of vision. Wet AMD causes individuals to see crooked lines instead of straight ones. This is the result of fluid leaking from blood vessels, which gathers and lifts the macula, causing a distortion in vision. A small blind spot may also appear with wet AMD, resulting in the loss of central vision. While there is no cure for most forms of Age-related Macular Degeneration, early detection is crucial, so be sure to get your eyes examined annually, so be sure to schedule an appointment with one of our awesome doctors of optometry today so we can test and come up with a treatment plan if needed.